Sure, you could learn to surf anywhere there are waves, but not all beaches are created equally. Some beaches have powerful, enthusiasm-squelching waves that can turn any newbie off from surfing. Others are so secluded or so cold that only the most dedicated surfers – that is, the ones who are already addicted to the sport – would want anything to do with them. If you’re just starting to take up surfing and want to find a place to master the basics, head to the comfortable, mellow waves at these excellent beginner surf destinations/ And, since you can’t spend all day in the water, these surf spots also happen to be in beach paradises where the après-surf can be as good as the waves. La Jolla Shores Beach, along a scenic stretch of coastline north of San Diego, is one of the area’s most famous beach breaks. La Jolla Shores isn’t the go-to choice for San Diego’s experienced surfers – that would be a few miles south at the La Jolla reefs – but it’s year-round waves are the perfect size range to learn to surf. They’re usually no smaller than two feet and rarely get bigger than five feet. In summer, the water temperature also hovers in the high 60s. That’s cold enough to be refreshing in the San Diego sun, but not so frigid as to require a cumbersome wetsuit. La Jolla Shores’ main street, Avenida de la Playa, has dozens of surf schools, a few quality taco shops, and some of the best ocean views in the city. After a day on the waves, you can swap your board for a kayak and tour the La Jolla Ecological Reserve, where you could enter a massive sea-cave and check out the area’s sea lion colony up close. 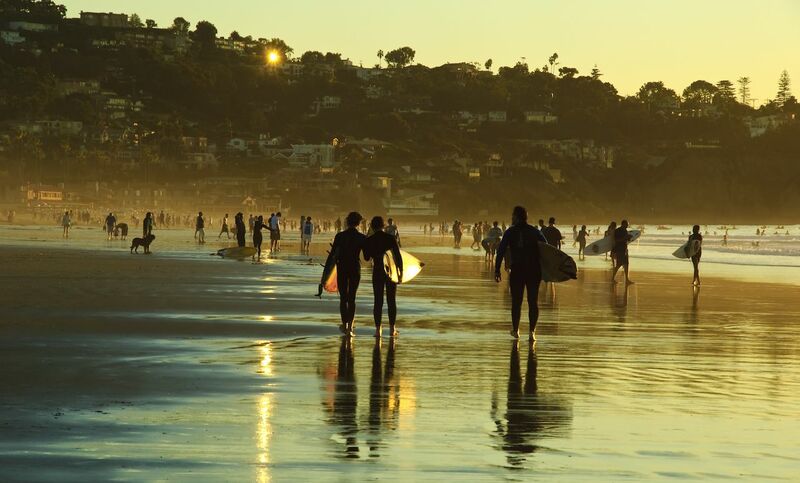 You could rent a bike and coast down the boardwalk, and, if you’re tired of the beach altogether, hit the town of La Jolla for shopping and eating before ending the night a mile south in Pacific Beach, San Diego’s liveliest nightlife community. Once a sleepy fishing village in the shadow of New York City, Montauk has become increasingly popular as a premier East Coast surfing destination. 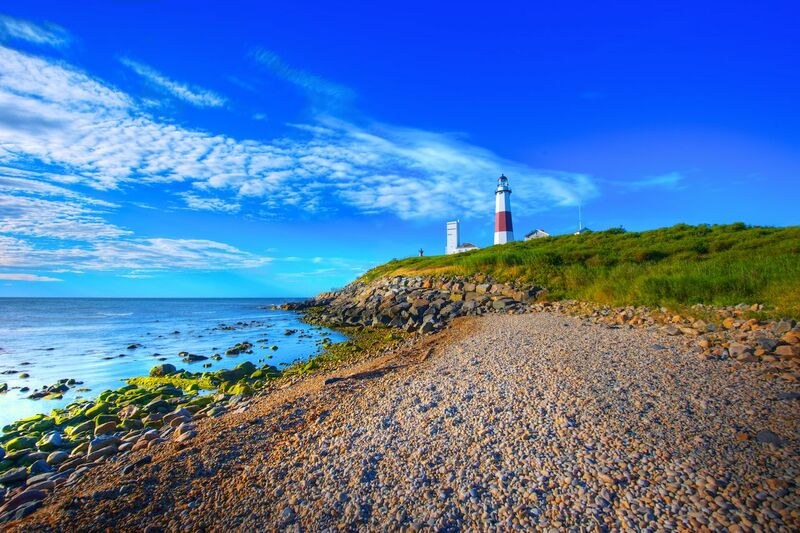 Montauk is the easternmost town on Long Island and offers New Yorkers a relaxing break from life on the faster paced coast. While there are some breaks east of the town that feature heavier waves and rocky bottoms, beginners can happily spend a few days learning to surf on the slow rollers off Ditch Plains. Espo’s Surf Shop in neighboring Amagansett is a good place to rent boards and organize lessons. In the summertime, the water is often warm enough to forego neoprene, and the waves are milder than the sometimes-heavy wintertime swells. Look out for hurricanes, though; they can ramp up an otherwise tranquil summer session to death-defying heights. After a morning surf, grab lunch at Joni’s in the town of Montauk, visit the historic Montauk Point Lighthouse, or grab a spot on a deep-sea fishing expedition and reel in some fresh Amberjack. End your day with some live music or a round of pool at the Stephen Talkhouse. No list of beginners’ surf spots would be complete without the most famous one of all: the esteemed Waikiki Beach on the Oahu’s south shore. Especially in the summertime, the waves at Waikiki rarely get scary big. Instead, you’ll find slow rolling “straight-handers,” or waves that can be ridden straight towards the beach. The lineup can get crowded, but most of the locals embody the aloha spirit. If you snake their wave they won’t be looking for you later in the parking lot. More likely, they’ll shoot you a shaka and turn around for the next one. That’s not to say the locals don’t know how to surf. At Waikiki you’ll see some of the most stylish longboarding around. As a new surfer, there’s really nothing better seeing how it should be done and trying to copy it. It’ll take you years to equal some of the most graceful Waikiki longboarders, but seeing it live in person will make you want to try. After you’ve surfed, you’ll find that the bars and restaurants around Waikiki are as good as the waves. You’re never more than five minutes away from a Piña Colada and a killer view. If you’d rather take your surf lessons international, one of the best beaches you could choose is La Punta in Puerto Escondido, Mexico. Playa Carrizalillo is just about a mile northwest of the sinister big wave testing ground Playa Carrizalillo, where a deep-water trench funnels deep ocean swells towards the famous sand bar. While waves at Zicatela can exceed 30 feet, the beach around the corner stays consistently smaller thanks to a mini-peninsula which stretches directly in front of the beach and blocks south swells from detonating on the sand. The result is a mellow, beginner break that’s surrounded on three sides by lush Oaxacan forest. If you’re travelling with non-surfers, they can sit up in the bar of the Villas Carrizalillo Hotel and watch from the cliffside as you learn to rip below. 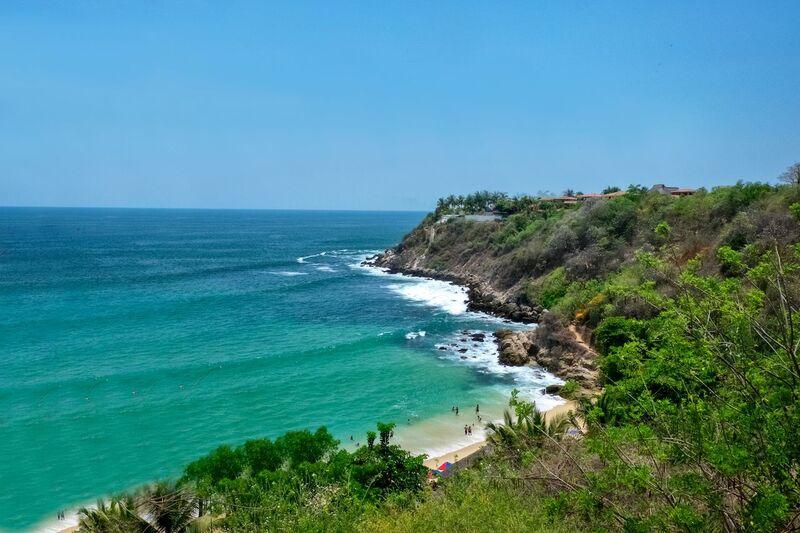 The beach is perfectly situated against the town of Puerto Escondido, which has dozens of great restaurants and, in the summertime swell season, some of the most respected big wave surf competitions in the world. There’s hardly a better European surfing spot than northern Spain. Like Puerto Escondido, San Sebastián is one home to some of the world’s best beach breaks, where a fledgling surfer doesn’t have to take any chances with rocks and reefs. Unlike Puerto Escondido, San Sebastián is an antique European cultural hub right on the border of France. 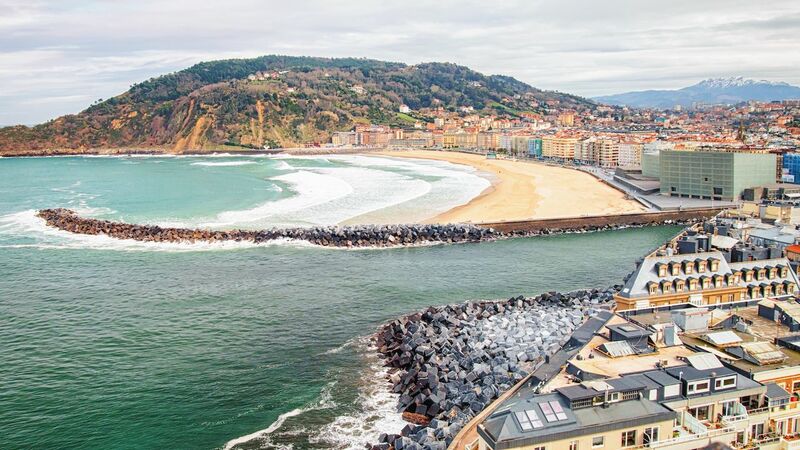 On the beaches of San Sebastián, you’ll hear Spanish as often as French, with plenty of Basque (the region’s ancient, local language) mixed in. The waves can be incredible and the infrastructure is unbeatable. Dozens of surf schools border the town’s most famous surfing beach, Zurriola Hondartza. Once you’ve had enough, hike the nearby Mount Ulia for stunning ocean/city vistas or head across the border to France. Things ramp up as soon as it gets dark in the city’s old town, which buzzes with pintxo bars. You can flit from bar to bar, having a tiny beer and a pintxo, or Basque tapa, of mushrooms, anchovies, or another tasty local food. You’ll fortify and get to bed early enough for another day in the water. Most people don’t associate surfing with Africa, but Morocco (and Namibia) have some of the best waves on Earth – and possibly the most unique surf culture. 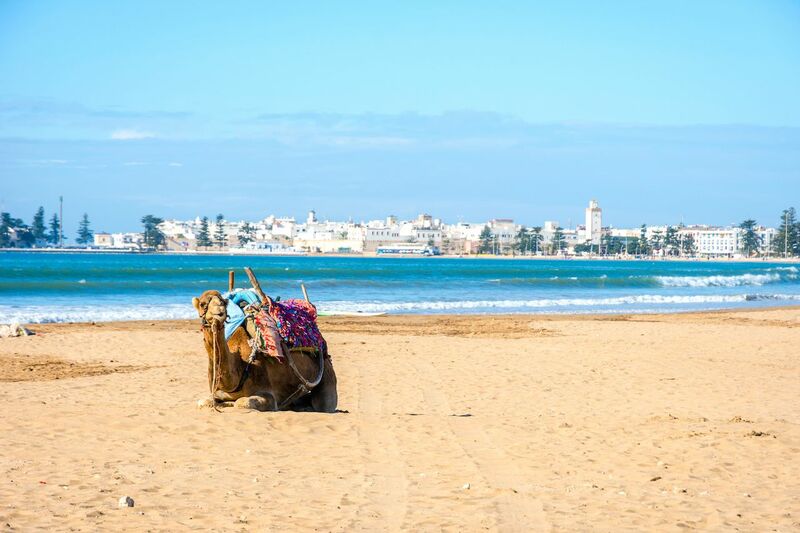 Essaouira is one of the emerging hubs of the surf scene in Morocco and the perfect place to begin, thanks to the soft sand bottom, the year-round warm water, and the ancient African town it flanks. You can’t surf all day, after all. The wave is a generally mild, sloping, A-frame. In a word: ideal. In addition to a stellar wave, Essaouira is home to a few decent surf schools and several thousand years of history. The “old town,” as it’s known, is partially enclosed in fortress walls that have stood since they were built by the Portuguese in 1510. But this city is much older than its walls would suggest. Accounts exist of the old port from as long ago as 5 BCE. Once you’ve had a bit of surf, grab a tour guide and wander the city like the Carthaginians of old – if you can drag yourself away from the perfect waves, that is.